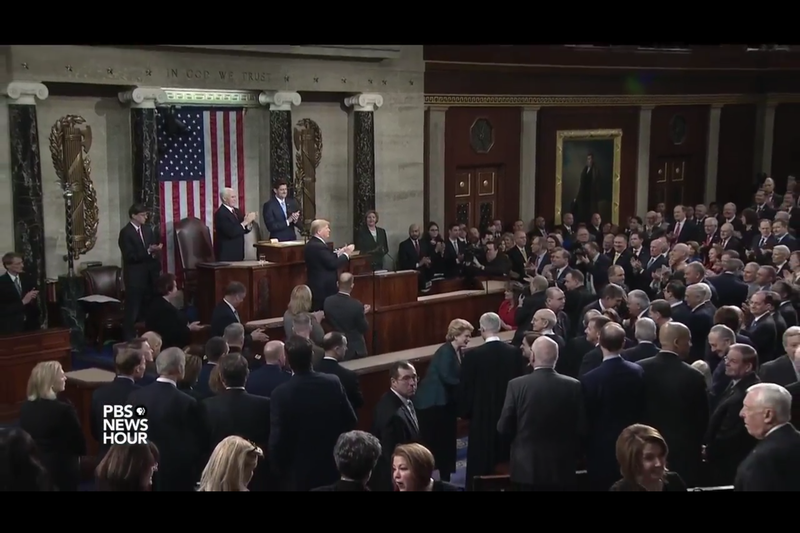 President Donald Trump delivered his first State of the Union address last night. President Donald Trump delivered his first State of the Union address last night. He made references to the auto industry in Michigan and took credit for some jobs moving to the region. Michigan Radio's Morning Edition host Doug Tribou and senior news analyst Jack Lessenberry discuss the parts of the speech relevant to Michigan residents. They also talk about the Michigan State University Board of Trustees' choice to name Gov. 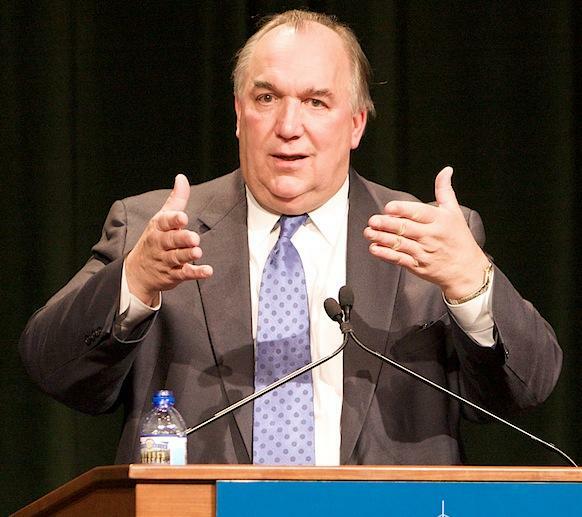 John Engler as MSU's interim president, and Gov. Rick Snyder's rejection of a recommendation by his Pipeline Safety Advisory Board. The board urged Gov. Snyder to temporarily shut down Enbridge Energy's pipeline until it can be thoroughly inspected. Editor's note: Enbridge Energy is a corporate sponsor of Michigan Radio. 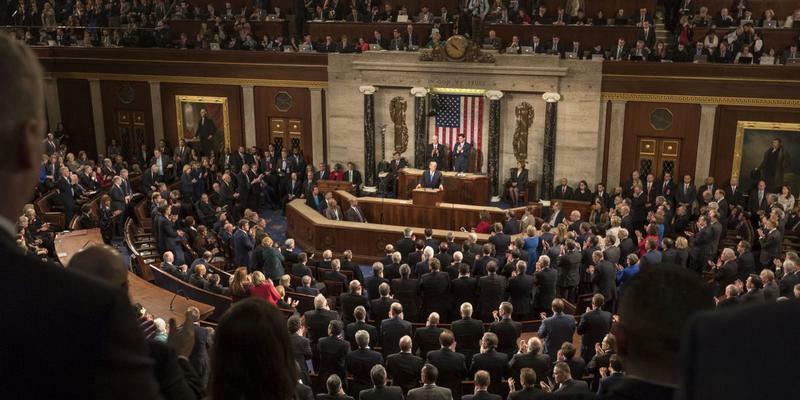 President Trump is delivering his State of the Union address to Congress tonight, which will be followed by a response from the Democratic Party. Journalists across the NPR newsroom will be annotating the President's remarks, adding fact-checks and analysis in real time (see below). 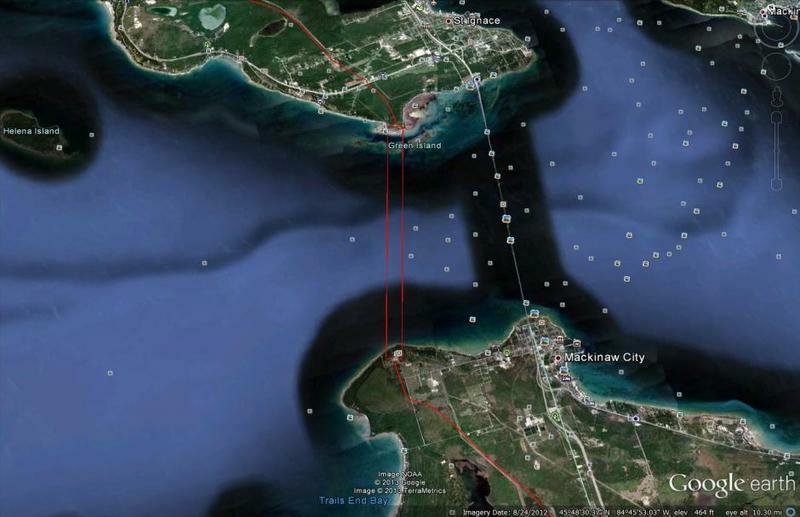 Governor Rick Snyder is rejecting a proposal to shut down an oil pipeline that runs beneath the Mackinac Straits. Last month the Michigan Pipeline Safety Advisory Board (MPSAB), a panel created by the governor, urged Snyder to temporarily shut down Enbridge Line 5 until it can be inspected for gaps in the external coating and all the gaps are repaired.